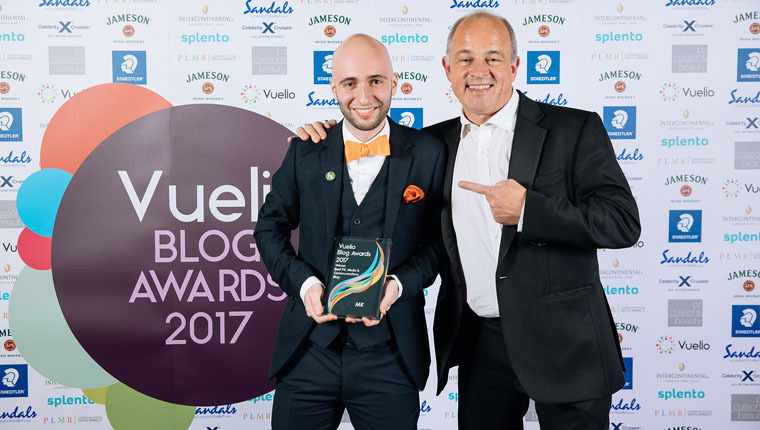 Marcel Klebba is MK, author of the eponymous blog that was crowned Best PR, Media & Communications Blog at the Vuelio Blog Awards 2017. MK started his blog while studying at university and it provides a unique insight into a PR student turning pro. 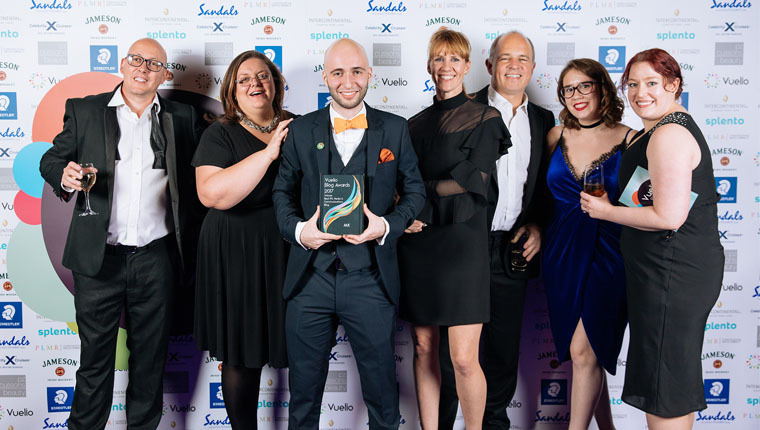 We caught up with MK to talk about winning his award, the importance of mentors and reaching high profile people. I’m originally from Poland. Four years ago, I came to study PR and advertising at the University of Westminster and while I was studying I aimed to get as much work as experience as possible. In my final year, I started a blog, which became my playground to explore ideas, connect with likeminded people and learn more about the industry. You studied both advertising and PR, how did you choose one over the other? 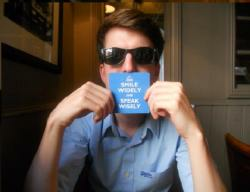 I don’t think I would be the right fit for advertising. PR appealed more to me, because I’ve always loved media and been surrounded by it growing up. I really appreciate the power of media and PR, and I wouldn’t be exposed to that so much in advertising. You’ve interviewed some really high-profile journalists, is that thanks to you or the blog? The blog is massively helpful when it comes to approaching people, because I can say: ‘I’ve got a platform and I want to interview you/I want your opinion/I want your quote – just for my blog’. I think that’s very enticing for people. Twitter is also a great place to chat with people, especially journalists. I don’t think journalists like to be pitched to on Twitter but it’s definitely a good place to build a rapport and relationship. Does connecting with people through the blog help you professionally? Definitely. Whenever an email pops up in a journalist’s inbox with my name, and they saw my name on Twitter the other day, it’s probably more likely to be opened and read. And they know I’m not going to jeopardise the relationship we’ve built with a bad pitch. It sounds like having a blog has helped you a lot, do you think other PRs should have their own blogs? I don’t think blogging is for everyone – it’s a massive commitment. Blogging is a great idea for PR students, but there are so many sites that have been abandoned after a few posts. It’s great from a career standpoint, but people should be aware that it’s a responsibility, and a blog needs to be constantly updated and it needs attention. You mentioned students, and they make up some of your readers. How do you interact with your audience? Through Twitter mostly – it allows to see who is interacting with my blog and commenting on my posts. Also, I get feedback from PR students that enjoyed my blog, which is great, and other people in the industry including my colleagues. Talking of industry colleagues, I know how important mentors and mentorship is to you. What roles do they play in your development as a blogger and PR? It’s huge. I started the blog because two people specifically – David Gallagher, then Ketchum but now Omnicom PR Group, and Stephen Waddington – told me I should be writing in order to have a great career. There always seems to be people around you that supply you with good advice, and it’s always good if you’ve got an issue or questions, to go to them directly. I wrote a blog post about mentorship, and in that I wrote that it doesn’t have to be one-to-one sessions, it can be reading something they’ve written or listening to a podcast they’ve made. In the digital world, mentorship can be more virtual and those people don’t necessarily even need to know they’re mentoring you. You’re at the Vuelio Blog Awards, sitting with, among others, your mentor Stephen Waddington (pictured above), and you win the Best PR Blog award. What’s that like? A little bit of imposter syndrome. It was huge, a highlight – I didn’t believe it and I definitely wasn’t expecting it. Now, I feel like I’ve got a mission and I still need to plough through, even if there’s difficult times or I’m lacking inspiration. I need to think how I could bring value to the industry and tell people things they might find interesting or to engage people who are just starting out and are thinking about a career in PR. What’s the community of PR bloggers like? I think it’s small, but everyone has their own speciality: Ella Minty is all about reputation and the power of influence, Stephen Waddington is all about the tech and professional practice, Scott Guthrie covers influencers, PR Examples covers stunts, and Richard Bailey is doing amazing work bringing everything together and supporting student communities with PR Place. There are also some really remarkable student blogs, including my friend Orlagh Shanks’, Jessica Pardoe’s, as well as the community blog Ulster PR students. Careers, starting out in the industry and documenting my journey. You’re making a name for yourself in the PR world, what do you think has contributed to the opportunities? Because of the blog, I built relationships. I was recently on a panel with Women in PR about personal branding and the people from the panel knew that I wrote my dissertation on personal branding, and I wrote about the dissertation on my blog. So, I think it’s everything all together. The blog leads to so many opportunities. We are in a niche area – so I’m not a beauty blogger and I’m not getting free cosmetics – but the biggest benefit of having a blog is building relationships with likeminded people. In the last year, I’ve been running the Four PR Questions series, which is all about interviewing high profile leaders and I think this made me connect with other people and get my name in front of them. What are your top tips for reaching high profile names for interviews? The majority of people who are afraid of reaching out to the high-profile figures, think they are not reachable. They’re afraid of failure. I was rejected loads of times and lots of people didn’t respond, but there are plenty who did respond and let me interview them. I think it’s a case of trying and not being afraid you’ll be rejected, because rejection will happen. Also, high profile people are just human – and if there’s someone junior approaching them – they will be impressed. Obviously I want to remain in Vuelio’s Top 10 PR Blogs. Professionally, I want to stay in the agency side of things, and start managing people and thinking about strategy, and implementing digital. I want to keep learning and be challenged every day. 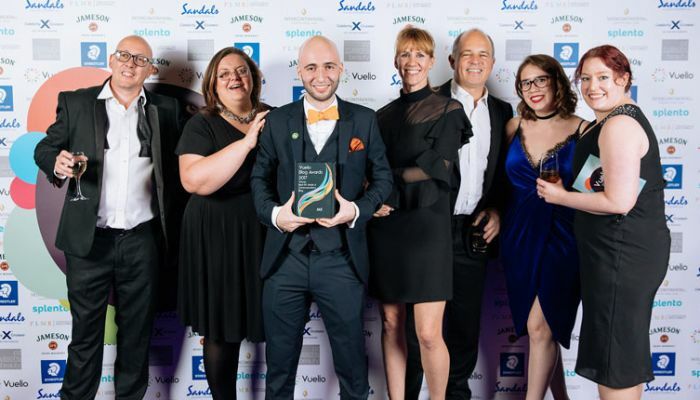 Marcel Klebba, MK, is listed on the Vuelio Database, along with every other Vuelio Blog Awards winner and thousands of other fantastic bloggers, journalists and editors.